Note – Since this original post in 2015, my father passed away from adrenocarcinoma in June 2016 after living with lymphedema for 43 years. At the time this was written, we did not know he had cancer. The blog was created with his support and blessing. He said that it was time for us to come together as a community and make our voices known. I have only had the strength to update it now. Am I in it to make a profit off of people that are suffering from a degenerative condition? No. This blog is as personal as it gets. Basically, not only do I know what it is like to have primary bilateral lower extremity and truncal lymphedema, but I also know what it is to grow up watching a family member have it too. Lymphedema has always been part of my life in some form or fashion. Was that a bad thing or a good thing? Depends on your point of view. Did you know this? Most people don’t, not even doctors. Sad, but true. If you take a sample survey of the population of people with hereditary lymphedema, most will say that they went to multiple doctors before getting a correct diagnosis, or are currently in the process of convincing someone to BELIEVE them. It is pretty rare to have the correct diagnosis the first time, because there can be a number of factors involved in why someone is swelling to begin with. It also depends on where you live. Healthcare options are not the same in every part of the world, much less state to state or city to city in the United States. Primary LE patients get sick and tired of explaining that this condition just appeared out of thin air. Sometimes finding the origin is just as traumatic because you start to think, “How could I have prevented this?” Mostly we get sick and tired of explaining that we are not making it up. They also keep saying that we are a rare group. Yet, ironically, I keep meeting people with hereditary lymphedema just about every week. 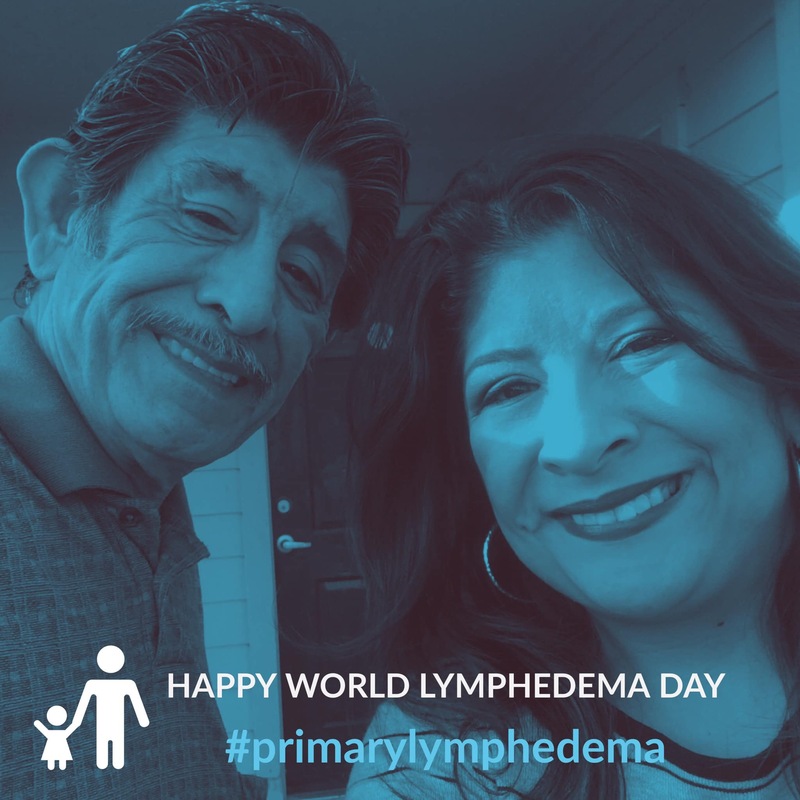 Secondly, I started this blog because, quite frankly, I haven’t seen many hereditary Lymphedema blogs or blogs with Lymphie families that feature a parent-child that both have it. They are out there somewhere. I know it. In my case, both my grandfather and father had it. Many Lymphies are the first in their families to ever present. You can be a carrier for the gene and never develop symptoms. Let me say one thing with absolute certainty. 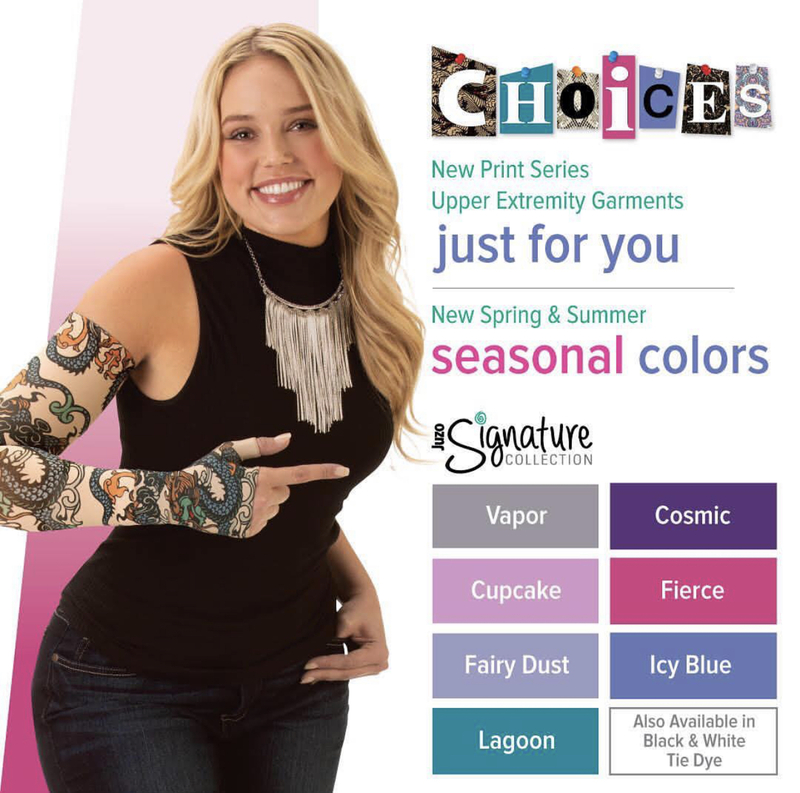 The biggest fear of any primary Lymphedema parent is passing this on to their child(ren). I know, because I have a son. Beyond promoting awareness, people from around the world kept asking me in social media groups and via messaging how I did my bilateral reduction for my legs. I decided, ok, I need a platform that is transparent and easily accessible. A blog. I am not a professional writer or freelance writer. I always say I’m not a doctor, nor do I play one on TV. I have nothing to do with the arts. My background is in Information Technology with 19 years of experience in Unix and Linux based infrastructure and application support as a corporate professional. I hold a Bachelor of Science in Computer Science. So what made me decide to dive in and do it? The memories of growing up in a Lymphedema family. Maybe, as you are reading this, you have a daughter (or son) that’s watching you battle LE. Maybe you feel guilty about missing out on certain things with them. Dad never went swimming with us. He never exposed his leg in public, and I never saw him wear shorts. Ever. Most trips to amusement parks were done with extended family members. As Dad aged with LE, road trips became few and far between. He didn’t like to fly. Things he managed to do are the memories I cherish, especially now that I know personally how hard it was for him. He taught me how to roller skate verbally, because his foot didn’t fit in the skate. As a kid, I never knew the difference. Same thing with riding a bike. From the sidelines. Yes, I fell. He didn’t run to my side like most parents. He yelled from our yard, “Get up! That’s the only way you’re gonna learn.” He pitched for his company softball team, but never ran the bases. I never noticed until later. Still, he taught me how to bat and trained me to play first base. We played catch over and over until I could catch any type of throw for my age. See, I’m that girl all grown up. 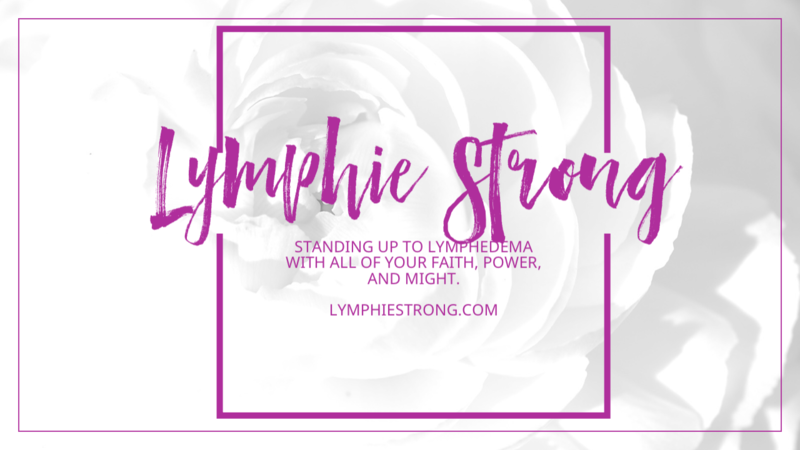 I decided to invest in this blog and name it “Lymphie Strong” in honor of my Dad. Really, in honor of my parents, Pete and Rose, and their love that withstood not only the test of time, but a debilitating condition that would shake any marriage. 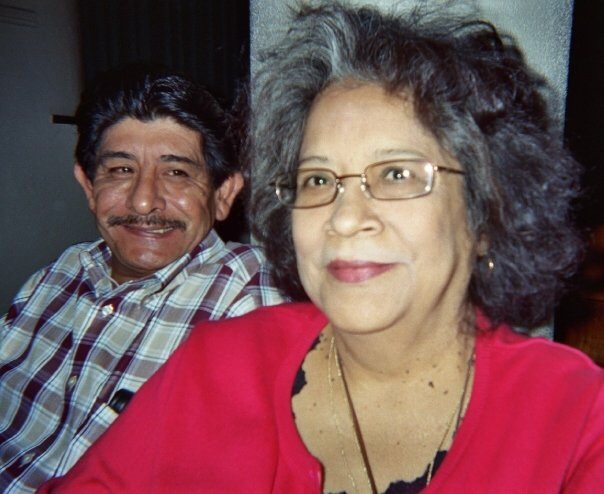 They were married 32 years until her passing in 2006. Mom stood by her man. Lymphedema created a bond in our family inasmuch as it has made us suffer. I watched how they coped with it, and there’s only one word to describe it: STRONG. My parents searched for 24 years from 1974 – 1998 without a diagnosis. We are from a small town in Texas. His GP kept calling it cellulitis. Cellulitis is a complication that arises from having lymphedema. He finally found help when I graduated from college and moved to Houston. I was passing a billboard on the Southwest Fwy in Houston, and I saw two legs that looked like my Dad’s one leg. I couldn’t believe it. That night I called my parents, who put the phone between both of their ears. Remember this is May 1998, this was long distance and no texting back then. Me: You’re not going to believe this, but I think Dad and I have something called Lymphedema. Dad: Lymphedema? What the hell is that?? 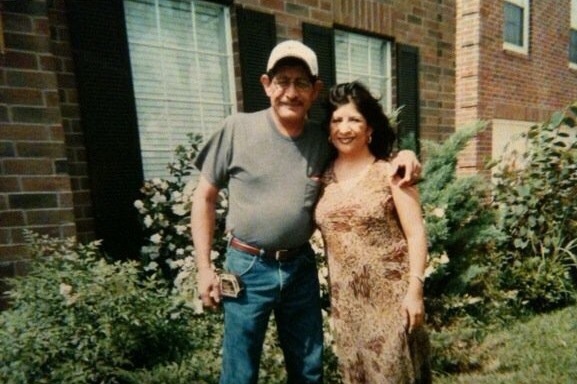 The wound center in Houston took his case, and he was finally diagnosed with Lymphedema. He underwent 8 weeks of CDT and stayed with me the entire time. I helped him roll his bandages. At the time my own lymphedema was mild. We had asked if I could do CDT too, but they said no. They took one look at my foot and said “Don’t worry, you won’t get as bad as your Dad.” (Boy were they wrong.) Dad was able to reduce by 40%, but his leg was never normal looking as compared to his good leg. Prior to that, my mother would cry and pray, and I remember watching my father shiver uncontrollably from 104+ fever with cellulitis. Too many times to count. I would help take his temperature and rinse out wash cloths. He would be sweating profusely, and his leg would be bright red. We kept the house dark and quiet when Dad was having his cellulitis episodes. Mom wanted him to rest and recover. I read a lot of books in my room as a child. Cellulitis is a horrible illness and can be life-threatening. There was one episode that I will never forget for as long as I live. One time I saw nurses dunk him in an ice bath fully dressed in an attempt to bring down his fever. He was screaming, and they were pushing his legs down in the ice. Mom was holding his hand and holding my brother, and I was holding hers. We were a little family chain that wouldn’t be broken. My brother was very little, and my Mom refused to leave or have us split up. This must of been in the early 80’s. Then I had my own cellulitis episode from a cat scratch at the age of 10, but that’s another blog post. Extreme temperatures are the worse thing for Lymphedema. Later, after his proper diagnosis, they changed to lukewarm packs. As I got older, my mother would leave my brother and me in the waiting room. The ER staff knew our names. I remember watching the ER doors swoosh close and always wonder what would happen next. Would we go home in a couple of hours or would he be admitted yet again? Over and over again this happened to my Dad throughout the years. Some families have a fire drill plan in place, well we had cellulitis drills. We would cover him with blankets and pray for antibiotics to kick in. More often than not, he was hospitalized and subsequently laid off from work. In one particular instance, he had a central venous catheter in place, and we took turns driving him up to the hospital to get antibiotics pumped. It was cheaper than a hospital stay, and he had been laid off yet again for missing too much work. Our entire lives revolved around LE because we never knew when cellulitis would strike. Mom had a hospital “go” bag always packed. As soon as Dad recovered though, he was back at life and back at work. He never let these episodes get him down. So way before I was washing and rolling my own compression. I washed Dad’s compression garments by hand. I HATED IT! Sometimes I would complain. My brother didn’t have to do it, why me? The age old comparison, right? Ha! Sometimes I tried to bribe my brother to do it. Funny, he never took me up on it. Don’t laugh. You know how it is. Mom didn’t want to ruin them in the washing machine, because they were so expensive. One day I said, “It says on the label they are machine washable you know.” She told me to hush it, and that look in her eye said she meant business. I never mentioned it again. It was one of my chores, and that was it. End of story. In retrospect, I’m glad I did it. It made me understand the Lymphie way of life, even though at the time I had no idea that I would develop it myself. If you do have small children with this illness, teach them about the importance of the lymphatic system. We need future leaders in medicine and healing that will cure this disease. I have lived my entire life with this condition watching it try to destroy my father, and I’ll be damned if it takes me down and other people too. So I’m sharing our story. Tomorrow is never promised. Who knows when my time is up for that matter? I have no idea what the future holds. Hopefully there will be a permanent cure for everyone. From my perspective, I can share that reduction is possible through hard work and partnership with a quality LE therapist up to a certain stage and depending on the presence of fibrosis. If you have Lympedema in 2017, you are so much further ahead than people who had it in generations before you. Surgery is increasingly becoming a viable option for many. There have been so many advancements with the existence of the National Lymphedema Network and the Lymphatic Education & Research Network. 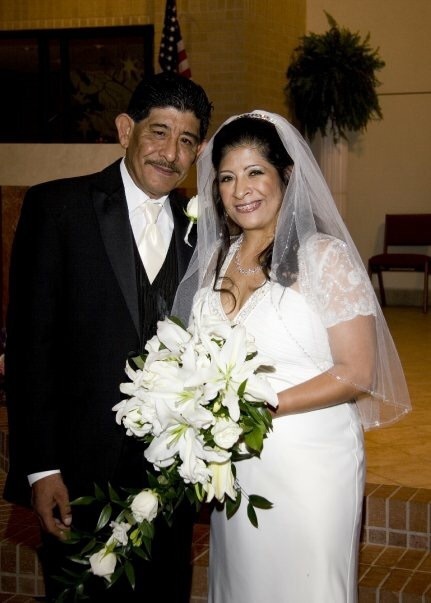 My Dad’s story is proof that you can live over 4 decades with LE. Do not waste time in getting treated. There’s no magic pill or easy way to do it. No pie in the sky claims or magic beans. Get CDT done, compression, and then find what works for you from there to maintain in terms of diet, exercise, and an overall maintenance routine. Whatever it takes. This is my Dad pictured with me on my wedding day. Thank goodness he fought that Lymphie battle and was able to walk me down the aisle. He was a welder with LE for 25 years, which is a physical job in the elements – the hot summer sun and the cold. My family never went without. We weren’t rich but we were loved. He was my LE coach, if you will. Much of my LE reduction success was owed to him as a driving force in my life. He knew the symptoms, he knew the pain, and he never let me give up. He had a firm faith in God. Always checked if I was following the LE Do’s and Don’ts, especially MLD, no matter how much I hated to hear him say it yet again. This is why I’m writing this blog and have dedicated my time to becoming an advocate. I have seen firsthand what LE can do as we grow older. I firmly believe that all of us together can make a difference. Love my Dad. He would tell you to stay strong with lymphedema, wear your compression, and never give up. Did Primary Lymphedema Make Me Fat? Food Triggers for Increased Lymphedema Swelling – Do you know yours? Thank you for the help and inspiration you are to many. Thank you so much for writing this blog. I had “big legs” as a kid, but never knew why. I went to the foot doc. Xrays were normal. Then, this month I was diagnosed with primary lymphedema in both legs. I’ve started CDT but I am worried that the pneumatic pump is just pushing the fluid up into my groin/stomach area. How can I know? I told my therapist that I wanted to stop the pneumatic pump, but continue with the bandaging, etc. I am praying my ankle/leg/thigh continues to decrease in size, but I don’t know if it will. I’m feeling discouraged because I still see my ankle “bump” I live in Austin, and so we are both Texans! I’d love to connect. Thanks again for all you do. Any advice is appreciated. Hi and thanks for reaching out. If you are currently in CDT, that is a very positive first step in managing Lymphedema. Make sure your therapist teaches you how to perform self-MLD and how to wrap yourself. You can ask that on the last week or so, they allow you to do it while they watch on and correct your technique as necessary. It is a skill that will help you tremendously in the long run. As for the pump, it depends on the pump you are using. You should always perform selfMLD to clear the trunk prior to pumping your legs. If at any time you feel uncomfortable or feel fullness in the groin/stomach area, stop pumping. Always remember that you are in charge of your body. Your therapist should be your partner and listen to your feedback and adjust as necessary. Only you know what you are feeling, so feel empowered to speak up. The bump will take time. It depends on how far along you are in stage or how long you have had LE. You can use foam to try to break down fibrotic tissue. I did not have fibrosis, and it took me a year to reduce both ankle bumps. Be patient with your body is the best advice I can give. You can friend me on Facebook or join my group – Lymphie Strong Inspiration Group. I’ve seen your comments on the Lymphedema group but just discovered your blog. That’s the first timeI’ve read personal details and feelings from someone relating to being in a family with Pimary Lymphedema. I am in the same sitution. My mother has it and so do I. Although I had symptoms wih hindsight at a younger age, neiher mymother nor I were really diagnosed till our 50s/60s. I watched my mum have terrible celluliis, especially when visiting me in Australia (she lives in New Zealand) twenty years ago and has never come back, in large part to the trauma of being so sick in another ountry and in my house etc. So, when I got cellulitis for the first time last year, I knew what I was in for. By the way, she is visiting me and my son in a few weeks, fighting her fears, although she is unwell with other condiions as well now,but I know sh’s doing this bcause she feels she won’t live much longer, and I can’t bring my son there due to his health issues (not lymphedema). I’ll remind her to bring antibiotics with her.. Thank you for reading my blog and sharing your story, Sharon. I have met many people over the past year that are part of multigenerational Lymphedema families. Some even have multiple siblings and one parent. I think it is more prevalent than we really know, because so many go undiagnosed for so long. Safe travels to your mother. Enjoy your holiday and reunion. You are wise to be prepared. Thanks for sharing! Thanks for the time you spend making this group a safe place. Great pic of you and your dad.